Choosing between an MPLS or VPN solution is tough. Read our comparison to decide which works best for you. Average internet users are increasingly more aware of the threat they face online—the very same threat that has materialized so many times in the past in shape of data leaks, botnet attacks, cloud hacks, social media coercion and nation-level intervention. The term VPN has almost become synonymous with security and online anonymity. Users now have the choice between two similar technologies, albeit serving a different purpose—MPLS and VPN. Both sort of do the same thing, but what really differentiates them is their intended purpose and what they achieve. Read on to find out what they are and how they’re different. 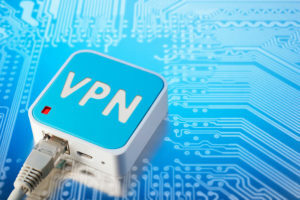 VPN, which stands for Virtual Private Network, is a technology which acts like an actual private network regardless of whether the devices are physically connected through a single network or not. It was developed to cope with situations where devices had to be connected over a long distance where setting up the physical network is almost impossible. VPN enables a network to extend over multiple networks, even public ones, and keeps the network’s integrity in tact by encrypting all the traffic. While connected to the network through a VPN, the user experiences being part of the network as if they were physically there, despite being in a different country. This solves the problem of connecting remote users to the private network. The identity of the remote users is hidden as well as the traffic. For the public network, the user location is masked to appear from the location of the network server. This is achieved by making a virtual tunnel between the server and the user where the data is masked before being entered in the tunnel and is decrypted on the other side where the user is. The tunnel bridges through the public networks and secures the data, along with destination points, from being seen. There are multiple types of VPNs, but the most common is the mobile VPN. In it, the server has a fixed point, however the service is set to be able to cater for a user having a variable IPs. 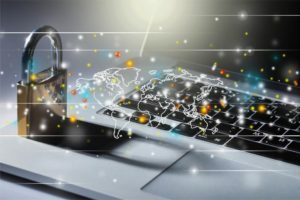 VPNs are currently in high demand due to their ability to encrypt traffic and keep users’ identity safe. MPLS, unlike the VPN, is not a technology. It is a technique to route data efficiently between large networks. 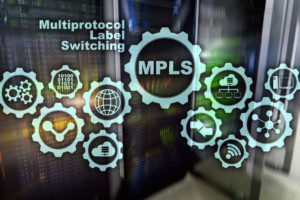 Multi-Protocol Label Switching does not follow the conventional method of searching for IP addresses in IP tables while looking for target device one by one. It simply searches for logically named short path labels and simply points to the end target. Each label corresponds to a complete path. Usually, the packet to be routed is required to be read before deciding its route, however, in MPLS, this doesn’t happen. The packet is routed on a path identified by the label in an MPLS header. These paths are between network nodes instead of endpoints. The multiple protocol support and efficient routing enable the network designers to create network circuits without worrying about the protocols to use. Since the reliance for the path is on labels instead of IPs, the data packets are encapsulated while being sent over the network. These packets may belong to multiple protocols, hence the name. These are also the very same reasons it is also used to create a VPN. MPLS also supports multi-level priorities for the existing connections. This makes it a good choice for organizational use where control of network traffic needs to be priority-based. Management The user is responsible. Choose and install your own preferred service. Shared responsibility of user (organization) and the internet service provider. Footprint(locations limitations) Based on internet availability. Anywhere. Depends upon ISP footprint or business partner’s availability in desired locations. critical data loss Less reliable Reliable, quality of services is a contract. difficulty Touch of a button Depending on ISPs availability, quick and fast. It all comes down to individual needs and the purpose of the technology to be selected. On paper, the VPN seems like a great choice for individuals looking for security. Research and choose a top quality VPN that best suits your requirements. Business/organizational users will benefit more by looking for a good ISP providing good MPLS-based VPN.